Dr. Subramanian Swamy is the only politician who is championing the cause of Hindutva, takes pride in calling himself a Hindu, taking up cases to root out corruption, announced to start the construction of Rama Temple in Ayodhya, and agreed to appear in the Supreme Court to make a case to repeal the Endowment Act. Fearless, strong, undaunted and determined to protect dharma. 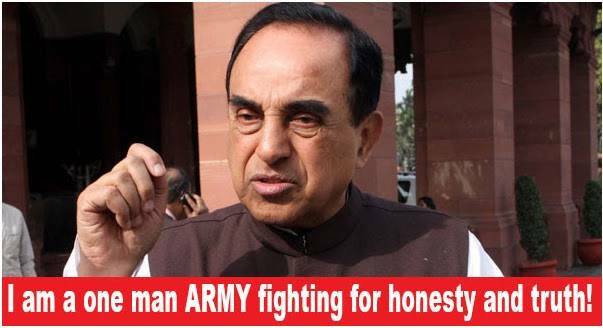 He is a one man ARMY fighting for honesty and truth. But pre-registration is a must!